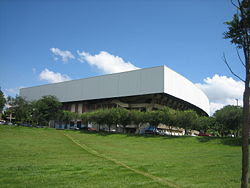 Universidade Estadual de Campinas (State University of Campinas), short Unicamp, is one of the public universities of the State of São Paulo, Brazil. Its main campus is located in the Barão Geraldo district, 6 miles (10km) away from downtown Campinas, with additional campuses in Limeira and Piracicaba. Created in 1962 and physically installed in 1966, Unicamp's original goal was to promote science education in the industrial pole of São Paulo's interior region. As of 2006, the university had about 16,000 undergraduate and 15,000 graduate students, as well as 1,800 faculties. Unicamp was officially founded on the 5th of October, 1966, with the laying of its cornerstone. Even within the Brazilian context, in which the oldest university is 70 years old, Unicamp can be considered a young institution one which has already conquered a strong tradition in education, in research and services to society. The project to create Unicamp was a response to a growing demand for qualified personnel in a region of the country, the State of São Paulo, that by the decade of the 1960s accounted for 40% of Brazil’s industrial capacity and 25% of its economically active population. 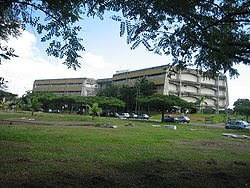 Unicamp broke from the Brazilian tradition of creating a university through the simple accumlation of courses and units. Contrary to this tradition, Unicamp was created with the idea that included all of its present structure. This explains why even before its installation Unicamp had already attracted more than 200 foreign professors from diverse areas and about 180 from the best Brazilian universities. 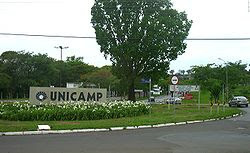 Unicamp has three campi – in Campinas, Piracicaba and Limeira – consisting of 21 centers of teaching and research. 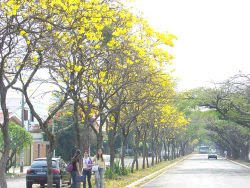 It also has a vast hospital complex ( two large hospitals in Campinas, one in Sumaré and another in Hortolândia, cities neighboring on Campinas); 23 interdisciplinary centers; two technical high schools; and a series of support units within a universe of about 50 thousand people. At this time, the university develops thousands of research projects.